A new Oxford dictionary has hit the shelf. It provides multiple articles on the broader disciplines of Biblical Interpretation, very helpful encyclopedia indeed. Here is the conclusion to an excellent article by Paul Blowers on “Patristic Interpretation.” Here are, what Blowers calls, axioms of patristic hermeneutical principles. (1) First is the conviction of the internal unity and harmony of the Bible, discernible [sic] solely through careful attention to the letter and to hidden meanings, and through assiduous inter-scriptural interpretation. (2) Second, the divine Word is semantically inexhaustible and polyvalent, with any text admitting of multiple legitimate meanings, allowing for the possibility of fresh insight, an ever ‘fuller sense’ (sensus plenior). Exegesis must accordingly adapt to the texts’ sophistication and pliability. (3) Third, the church is the primary hermeneutical matrix, since interpretation functions foremost to shape Christian identity, doctrinal consistency, liturgical and sacramental practices, and ethics. (4) Finally, scripture is sacramental communication, a medium of the presence of Christ the Logos, in which case interpretation itself demands the abiding presence and aid of the Holy Spirit. Paul M. Blowers, “Patristic Interpretation,” in The Oxford Encyclopedia of Biblical Interpretation, ed. Steven L. McKenzie, vol. 2 (New York: Oxford University Press, 2013), 87–88. 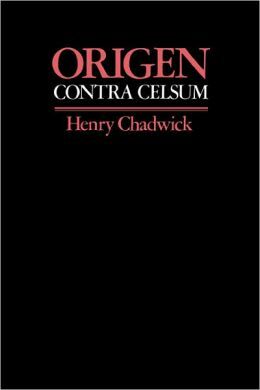 In Contra Celsum, Origen responds to each line of critique to the Christian faith by Celsus. One such critique is the irrationality of the common folk. According to Celsus, they are gullible for a lack of eduction, they do not nor give reasons for what they believe, they commonly respond to questions with ‘Do no ask questions; just believe’ and ‘your faith will save you’.